PAZable Creations, formerly known as PAZable Solutions was founded in 2010 offering solutions in the crucial components of business operations such as accounting, professional organization, HR consulting, and of course, Marketing. In 2015, founder Darlene De La Paz, made the decision, to simplify her offered services and become a master of the one part of business she loves most, Marketing. The name De La Paz, meaning "of the peace", was the inspiration behind the name PAZable Solutions (Peaceable Solutions), which laid the foundation for our code of ethics and how we do business. At PAZable Creations, we believe that if anything is possible, then it can also be peaceable, and that is exactly the kind of service you can expect from us. Since our inception, PAZable Creations continues to live up to that standard of excellence in it's customer relations while bringing its clients peace of mind and results they feel confident in raving about. But don't take our word for it, check out what people are saying! It is our mission as a company to provide our clients with simple and affordable solutions to marketing & customer relations management. Through receptivity, focused intent and creative intuition, we are able to identify your your company's needs and offer creative solutions that reflect your unique culture within your budget. With 20 years experience in internal business operations and management, we understand that one of the greatest mistakes small businesses make is in neglecting their marketing endeavors due to lack of time and/or funds. 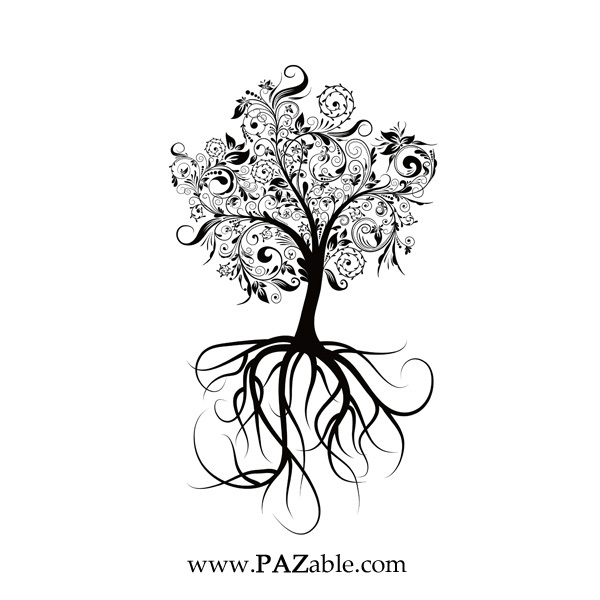 PAZable Creations is not typical marketing company. It's focus is on enhancing our economy and creating sustainability by offering its clients singular and/or bundled marketing packages to suit any budget. Darlene, a native San Diegan and founder of PAZable Creations, has always had a passion for people and the creative arts. She brings over 20 years of experience in Business Management and a lifetime of creativity and entrepreneurship. Darlene has always had a fearless, independent, dedicated, and innovative spirit. She created her first business plan at age 8, branded BNW Bows, where she successfully enticed family and friends to invest while recruiting her peers to create handmade hair bows, themed in black & white and sold door to door. Darlene joined the workforce at age 14 and since has managed, owned or contributed to an array of business ranging from restaurants, hospitality and entertainment to architecture, construction, and real estate development. Her ability to inspire and create syndication thorough cohesive business strategy was recognized by age 19, where she was awarded on two separate occasions for her capacities in leadership. For Darlene, a main component of success is being aware of one’s own attitude. By focusing on what is positive and feeding the mind with healthy thoughts, she believes we are able to overcome even the most trying obstacles. When the U.S. Economy took a down turn in 2007, Darlene was working as the business manager for an architectural firm, and as such was one of the first to feel the impact. Darlene, along with the rest of America witnessed friends, family, co-workers lose their jobs, homes, and retirement. Despite the many losses, Darlene recalls feeling as if these events were not of devastation, rather a time of renewal and new beginnings. In 2010 she formed PAZable Solutions based on the underlying belief that if anything is possible, it can also be done peaceably. When asked what it is that she really loves to do, her response was “Anything creative. I believe when you do what you love and you do it for a bigger purpose, success is just a natural bi-product. For me, the greater cause is in restoring our economy and creating sustainability, one small business at a time. If I can do that while doing what I love, we all win!” Darlene has played an array of musical instruments including Piano, Guitar, Percussion, and Viola. She loves painting, cooking, fine spirits, photography and writing. When she’s not working, she’s usually working as the creative flow is to her an inexhaustible source of joy and freedom. Most recently her passion has been co-authoring biographies. She believes every story deserves to be told as there is always someone to benefit from it. Hence her writing project in which her goal is to capture the essence of individuals life stories, wisdom and experience in written format. Darlene’s inspiration started as she began to write her own story to leave something as a reference for her niece, stating “I wish my grandmother would have left me a manual”. What her clients do with the completed work, is completely up to them. Some just want to have something to leave their children, others may want to market and sell it. Either way, she feels it is important that their stories be preserved in an effort to assist future generations in the understanding that although we are unique as individuals, we were not the first, we won’t be the last and most importantly, we are never alone. Douglas J. Barr, a native San Diegan, is a Teacher, Disc Jockey and Photographer with a passion for people, music and visual arts. His earliest recollections of taking an interest in photography go back to his childhood as Doug recounts being fascinated by the stunning images shown in National Geographic, and how they inspired dreams of traveling afar to discover new and exotic places. While attending The University of Santa Cruz, Doug resolved to become a teacher as a way to give back to his community and graduated with a BS. Degree in History. While attending The University, he opted to take a photography class even though as a struggling student couldn’t afford a “real” camera. Eager and determined to learn the art of photography, Doug completed the class using cameras that were “point and shoot” and “disposable”. Doug is a positively upbeat guy that loves life and believes you can achieve anything you put your heart into. His gentle and uplifting way of being make him a magnet to the masses. Doug is a creative visionary, who when behind the camera exudes depth, patience, and devotion which naturally conspire to inspiring images that speak to the soul where words cannot. Oregon native Josh Millar moved to San Diego to pursue his degree in Integrated Marketing and Communications where he earned his degree at San Diego State University and graduated in 2009. Josh had the unique privilege of working with the Vice President of Marketing and Advertising for Honda as a member of his graduating class to help build a complete Integrated Marketing and Communications Plan for the Honda Crosstour which was at the time a concept car. The experience Josh drew from this campaign fueled him to want to build similar marketing plans for businesses both large and small. With over 10 years of mobile experience combined with his background in Marketing, Josh started UrPhoneGuy, to fill the need for a knowledgeable Mobile Application Company. What's all the buzz about? See what people are saying about us on YELP! I have been working with Darlene now since 2008 in various capacities. Her high energy, positive mindset, and commitment to her clients and their goals is inspiring. Darlene’s approach to supporting businesses is unique in that it comes from her heart first, backed by her expertise and knowledge. This allows for the work with her clients to really lead to long-lasting changes and growth. It is always a pleasure to talk with Darlene and to gain her perspective on challenging situations. Her creativity is boundless. Thanks to a friend, I was referred to PAZable Solutions. My website is now live and I’m so stoked!